How cyber secure is your business? Microsoft has launched an online test for businesses to check how secure their accounts and processes are. If you’re looking for a permanent way to make your office PC faster and increase its lifespan, here’s why you should consider a solid state hard drive. In line with Microsoft’s product lifecycle, support for another major Windows product is due to end soon. Discover the reasons why cloud backups are seen as the best practice approach to securing business data. Building on our existing East London presence, Akita has opened a new office in Central London. When you look at the benefits, IT outsourcing can make considerable business sense. Akita is pleased to announce that it has been accredited with ISO 27001 in recognition of our security processes. One in three Microsoft machines still uses the Windows 7 operating system (OS). As of April 2019, HMRC will be digitising elements of tax administration. Whatever 2019 has in store for your business, follow these resolutions to ensure your IT supports you along the way. If you use one of these, your accounts are accessible in less than a minute. Office 365 Exchange Online accounts have an issue that could prove a big headache to your organisation. Akita is pleased to be able to support talented young footballers and help contribute towards their success. Cyber crime via mobile messaging is reportedly on the rise. How Does Proactive IT Support Work? When it comes to IT, there will always be issues that crop up that require immediate responsive support (for which our help desk is ready). Internet browser Firefox is to show users when they are visiting a website that has experienced a data breach. What Office 365 plan should I buy? Use this guide to Microsoft Office 365 applications to understand what licensing your organisation might need. Discover the Office 365 benefits that business can enjoy. Anti-virus solution provider Avast has announced that its upcoming release, Avast Endpoint Protection Version 19, will no longer provide support for Windows XP, Vista or older Windows operating systems. What is SharePoint and how can it help your business? In existence since 2001, some businesses are just discovering the benefits that Microsoft SharePoint can bring to their operations. The latest research suggests the need for major improvements in the way we secure mobile devices. When it comes to the business mobile phone market, it’s easy to fall back on the same suppliers as your personal mobile phones. Email scams have been around almost as long as email itself. And while most people would say they were aware of the typical scams, estimates suggest that over 60% of people will get caught out by a rogue link or email at some point. What is Microsoft Teams and how can it help your business? We’ve witnessed the recent rise in interest around Microsoft Teams, the Office 365-based project management solution. When your office desktop or laptop slows down to a crawl, avoid the temptation to pour a cup of coffee over it to finish it off in the hope you'll get a new one. Discover small business IT necessities with our IT checklist. Could Google Duplex have an impact on the quality of customer services? Much like Spring itself, Microsoft’s Windows 10 Spring Creators Update has been a while coming. Password security: Has your password been hacked? There’s plenty of IT security advice that explains the importance of using different passwords for different accounts. However, with the number of platforms and applications requiring passwords it can be difficult to create individual memorable passwords that are secure. As the implementation date of the General Data Protection Regulation (GDPR) fast approaches, Akita is pleased to announce its partnership with data protection consultants GDP Armour. From 2020 BT will no longer sell ISDN or PSTN lines to customers or businesses and from 2025 the technology will be switched off altogether. Websites without SSL Certificates could soon be falling through the rankings. Cyber security: What is phishing and spoofing? Akita is a leading provider of IT security Kent and London organisations rely on. Here we explain about what phishing is and outline the threats posed by phishing and spoofing attacks. Voice over IP (VoIP) telephony is growing in popularity as a low-cost but highly-functional replacement for traditional telephone lines. Whether your company is growing and moving to larger premises or simply relocating offices, you’ll need to plan moving your IT setup. As of 9 January 2018, Microsoft has ceased mainstream support for Windows 8.1, the upgraded version of Windows 8. This year Microsoft will launch the latest (and rumoured best) update to its market-leading business platform. As widely reported in the media, researchers at Google have discovered potentially serious security flaws within computer processing chips made by Intel, AMD and ARM. In the last few days the press have been talking about a Wi-fi security flaw 'putting devices at risk of hacks'. Researchers have revealed a flaw in the Wi-fi connections used by home users and businesses around the world. This flaw has been dubbed the 'Krack'. 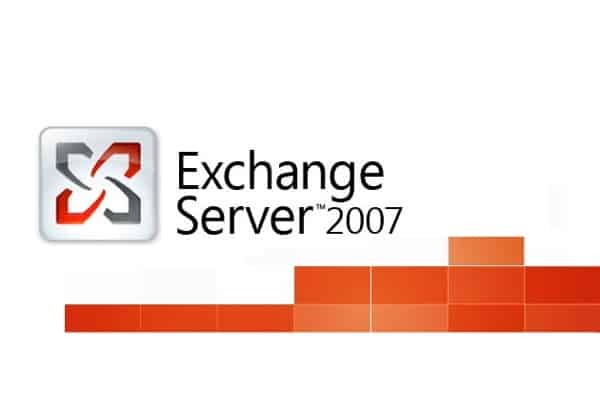 If you are using Microsoft Office 2007 or Exchange Server 2007, it is important to act now as these products no longer benefit from extended Microsoft support. WannaCry Ransomware Attack – What Should you Learn? We have mentioned the risks of ransomware numerous times in the past, highlighting how users and organisations should guard against the threats and adopt best-practices to mitigate the risks. Following the acquisition of AVG by Avast last year, the integration of the two brands into one entity is nearly complete. Akita are pleased to announce that we are Cyber Essentials certified, demonstrating our commitment to robust Internet Security standards to mitigate the risks of cyber attacks. This year marks Akita's 20th year and we would like to thank all of our customers. 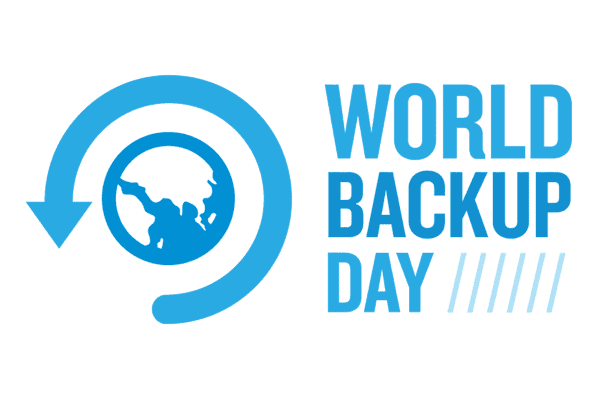 March 31st is "World Backup Day" and although it may go unnoticed by many, it is useful to remind people of the importance of looking after their data. CryptoLocker is just one of a number of virulent cryptographic cyber threats that have effected a huge number of computers recently, netting criminals millions of pounds directly from businesses like yours. If your organisation utilises Microsoft Exchange Server 2007 for email, it is imperative that you are aware that Microsoft’s extended support will end on April 11, 2017. 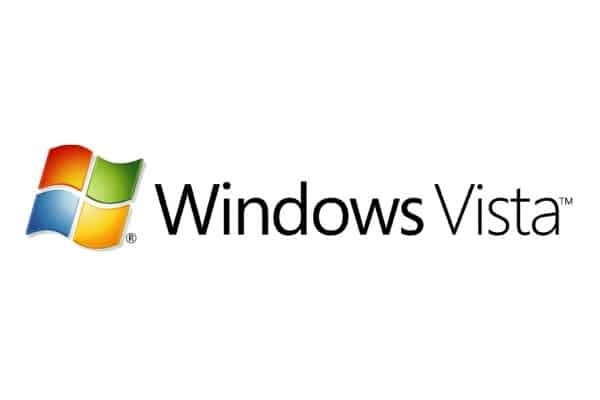 If you are a Windows Vista user, it is important to be aware that Microsoft will no longer be supporting this after 11 April 2017. As we wrote in the aftermath of the EU referendum result, the weakening British Pound was likely to impact on future prices for hardware and software. If you have ever wondered what Akita typically get up to, this infographic may give you a bit of insight. The future of internet connectivity and broadband providers have been in the news a great deal of late. Following on from the issues with BT last week, which caused so much inconvenience and even affected online banking, BT Openreach now look likely to become a distinct company within the BT Group, assuming Ofcom’s wishes are met. Unless you have been living under a rock, it is highly likely that you will be aware of Microsoft's launch of Windows 10 and their free offer to upgrade! The Impact of the Brexit Referendum – Buy in June or Pay More! The UK referendum result has caught many by surprise and, although there was clearly a large Brexit support, the majority of businesses expected a Remain victory. At Akita, we are committed to providing outstanding IT support and computer services to all clients. We believe that being accredited to the major players in the IT industry underpins that, in order that we can offer the best levels of service and support to the leading and trusted products. How To Choose The Right IT Support for Your Business? For many companies, computer systems and data are of critical important to the success of their businesses. Efficient systems and collaborative working can provide huge advantages to organisations, often making them more agile and more competitive. Should I outsource IT support? Many businesses have a distinct choice with regard to the ongoing management of their IT requirements – should they manage with an internal, dedicated IT department, or outsource to a 3rd party IT service provider? Although we wrote about this threat a year ago, the IT security industry has been a huge rise in domain spoofing whaling attacks so we thought it prudent to post a reminder. We are regularly contacted by clients who are concerned about potentially harmful emails and the the security risk of attachments. Akita Systems earns distinction through demonstrated technology success and customer commitment. It is increasingly difficult for many SMEs to find reliable and qualified IT staff with appropriate experience. This is particularly true throughout Kent and London, where the higher salaries on offer in the capital provide a major pull and make it difficult for smaller businesses to compete. Of course, the IT industry is not alone and businesses find it a struggle to find skilled talent across many disciplines, often holding them back as a result. On average, our mail filtering detects and quarantines around 550 viruses every day - over 3,800 each week! Fraudsters and cyber criminals have increasing sophisticated ways of targeting businesses, including email spoofing instructions supposedly from the boss. As Microsoft launch their Windows 10 operating system, cybercriminals have taken the opportunity of targeting end users with emails containing malware. With support for Microsoft’s incredibly popular Windows Server 2003 platform ending today. Microsoft's legacy operating systems, Windows 7 and 8, are now unsupported. After several months of hard work, Akita Systems are delighted to announce that we have achieved the internationally recognised ISO 9001 standard, establishing us as one of the leaders in our field. We have become aware of a couple of attempted scams recently and although these are not traditional virus or malware-driven IT security breaches, it is important for businesses to be aware of these types of risks. Please be aware of a potential Zero Day virus threat. The Death of Windows 8? Akita Systems are pleased to announce that we have invested in another datacentre site. Discover how the day-to-day information we all rely on travels around the globe. Dramatics rise in the number of organisations using cloud solutions. The National Crime Agency is urging members of the public to ensure that they are fully protected against malicious software (malware), which is costing UK computer users millions of pounds. Warning for XP Users – The End is Nigh! Has Your Fridge Got a Virus? Does Social Media Make You More Efficient? Is your software licensing compliant? Are you wasting money on software licensing? Is it time to review your IT support? Inertia is the resistance or disinclination for motion, action, or change. Hot on the heels of Microsoft's release of Windows 8 comes it brand-new office software, Office 2013. Support for Your Business – 24/7/365! Outsourcing or managing IT Internally? When did you last review your IT security? Poor Broadband Speed Holding You Back? Having become rather expert at virtualization and virtualizing servers over the past few years, we are particularly keen on VMware products. These allow our clients, whether utilising our datacentre or having their own cloud, to benefit from such things as a simplified IT infrastructure, reduced costs, true business continuity and disaster recovery, and policy-based automation.